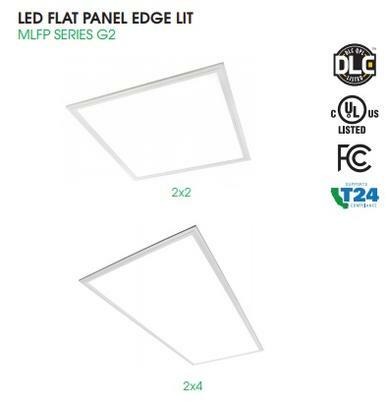 Designed for drop in ceilings, MaxLite’s high performance FlatMAX® Edge Lit LED Flat Panels are the ideal energy-efficient replacements for fluorescent fixtures in offices, schools, hospitality, healthcare and other commercial and industrial applications. Easy installation due to slim design! Available in 1’x4′, 2’x2′ and 2’x4′ models in 3500K (warm white), 4000k (white) and 5000K (daylight) color temperatures the fixtures enable even light distribution to create warm welcoming environments & are dimmable. The design of the panels produces an even, consistent shadowless light. The LEDs enable long life, high lumen maintenance, and are low maintenance and constructed without hazardous materials.​ ​ Contact us today for a lighting ROI calculation compared to your existing set-up or to see a sample in action. 50,000 hour life: 50,000 hour life or more than 17 years operating 8 hours a day is based on L70 standards. Installation depth of just 2.3 inches! Easy easy installation due to super slim design! You won’t believe how good they look.